While speaking in an exclusive interview with Daily Sun, Mavin Record label’s artiste and Don Jazzy’s protégé, John Drille, opened up on how the legendary producer discovered him. The University of Benin graduate who landed on the music scene with a peculiar folk sound and recently headlined the Make Music Lagos Festival in celebration of World Music Day alongside juju maestro, King Sunny Ade, Omawummi and Bez, also talked about his music, influences, aspirations and inevitable challenges of being a musician. When did you discover music, or did it discover you? I like to think music discovered me. I was very little when I joined the children’s choir in my local church. My sister and I would always sing at night under the moonlight. Those were my earliest music memories. I pretty much grew up around musical instruments and they helped shape me to become a musician. Getting a record label isn’t a piece of cake; can you relay the journey leading to being signed on the Mavin platform? I have been independent for a long time and atimes things were hard because I had to get everything by myself. My first contact with Mavin Records was with Don Jazzy in February 2015 when I dropped my cover of Di’ja’s song, ‘Awww’. He followed me on Twitter and told me he liked it and would love to hear more. We kept in contact over time and then he was silent for very long period. At some point, he was really silent and I figured maybe I shouldn’t hope too much and that I should just keep pushing myself, and everything. Then, sometime in August of 2016, I got a message on Twitter from Don Jazzy asking me if I was in Lagos at the moment, and thankfully I was. He invited me over to his office and let me know he wanted me to join Mavin Records. In March 2017, I was officially announced as a Mavin Records’ artiste. 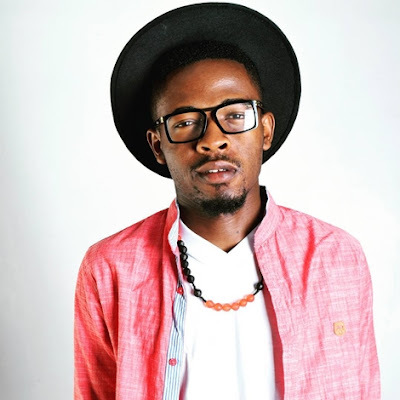 Johnny Drille and the Mavin’s crew, has that always been your dream? It had in fact been a dream for me and I’m glad it came true. I hope to fill up a stadium someday. What does it feel like working on the same label with the likes of Tiwa Savage? It feels great actually. The good thing is that everyone that I have met at the label is outstandingly established act, and it is some sort of motivation for me to aspire to achieve what they have achieved. It won’t come easy but I will try my best. It is like family over there, and you’ll be surprised how closely knit the tie is. Everyone is directly and indirectly a part of the other person’s journey at the label. Do you work directly with Don Jazzy? Yes. We all work directly with Don Jazzy. He is a very busy person but he still makes out time for everyone. What’s working with him like? He just keeps going and going almost like he is never going to get tired. Before we had extra producers, Don Jazzy was the only producer who did all the work. He’s an all round great person and if you ever get to meet him, you will know for certain. Your creative direction is focused on folk music. Why folk music? At some point, I was really looking for recognition in the music industry. The Nigerian music industry was quite saturated and one had to work extra hard in order to get noticed. I found the music of Owl City, then Mumford And Sons and sort of figured that if I could merge these kinds of styles with African elements and Pidgin English, and see how it turned out. Apparently, it turned out well, if not, I wouldn’t be here today. I’ve been inspired a lot by love because I think it is universal and also very necessary. I’ve also been inspired by family, faith, God, and life in general. Click here to read the interview in full on Daily Sun.